The topic of child supermodels is a controversial one. While some parents dream of their child making it in the modeling world, others consider this a form of exploitation. The idea of children as supermodels comes with many aspects for parents to consider. Brooke Shields' celebrity status began when she was just a child. She garnered her first modeling job as an infant in an advertisement for Ivory Snow, and by the age of 14, she had graced the cover of Vogue magazine. As a child model, her success was phenomenal, but at what cost? The term "child supermodels" is often uttered within the same context as the word "exploitation." Beauty pageants, photo ops, and modeling jobs for children are often criticized for bringing children into an adult world, with high, often unrealistic expectations, unrelenting pressures, and an unhealthy exposure to a world far displaced from a child's typical environment. Parents often begin their initial search for a modeling contract for their child as a means of added income or scholarship opportunities. 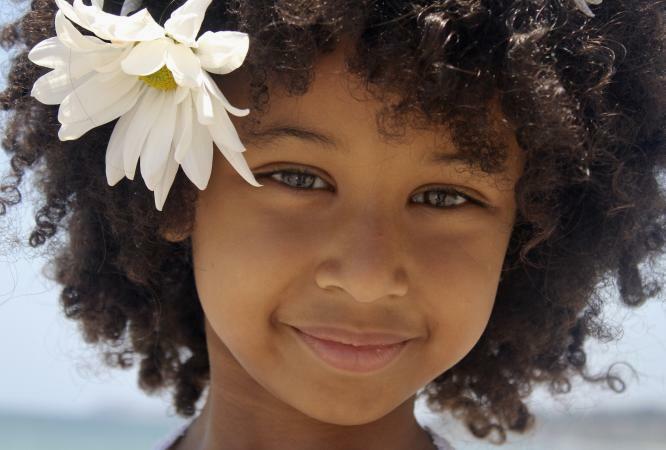 Reaching top child supermodel status, however, isn't a simple feat. If in spite of the difficulties, this is your goal for your child, there are some steps you can take towards making this dream come true. For most and the dream of becoming a supermodel is first initiated by their parents. Maybe you get comments from strangers on how beautiful your child is. Maybe a photographer has already told you that your son or daughter is very photogenic. Realize that, no matter how beautiful you believe your child to be, the competition to be at the top of the modeling game is very stiff. Overnight success does happen occasionally, but achieving this goal is a very rigid and disciplined process. Unless you already have connections in the modeling world, probably your best bet is to sign your child with a modeling agency. This isn't as easy as it sounds, however. The top agencies will only select a certain amount of children that have that special "something" that might lead to supermodel status. Modeling and acting agencies, like Barbizon Modeling, train your child in the many elements of modeling, such as public speaking, poise, and presentation. There are numerous private modeling academies, like John Robert Powers, which is a billion dollar modeling, talent, and corporate training company. While these companies won't make any promises, they may be able to get your child on the right track to a successful modeling career. If your child doesn't have any modeling experience, take her to a photographer and have several shots taken. It wouldn't hurt to use a couple of different photographers for different looks as well. Stop by or mail out your child's photos to local businesses to try and garner a few small modeling jobs to add to your child's portfolio. Once your child is featured in one ad, she maybe recruited for others in the area. Put your child's name, age, and interests (such as modeling, acting, etc.) on the back of the photos, and mail copies to a variety of reputable agencies. In many cases, modeling schools have contacts that can be valuable in landing highly sought-after modeling jobs, so if you have the money, this might be a good option. Finally, keep in mind that while there are many reputable agencies and agents out there, there are plenty of scam artists, too. Above all, you must always keep your child safe. Be a hands-on parent and don't leave your child alone with other adults. Be present at photo shoots, costume changes, etc. You must be an advocate for your child whether she becomes a supermodel or not. Becoming one of the famous child super models may be a dream, but for some children, that dream may just come true.